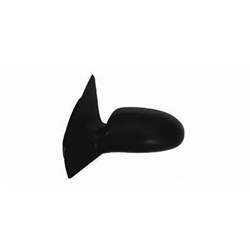 This is a New Replacement, Power, Driver Side Door Mirror manufactured by Action Crash. The mirror is Textured and placement on the vehicle is on the Left Side. It does not include Heated Glass. Mirror is designed for models excluding the Special Vehicle Team (SVT) Model. Item is an AMPP - Platinum Plus part. Part number FO1320180 - OEM Reference number(s) 6S4Z17683BA; 1S4Z17683MAA.